In what can be perceived as a sigh of relief for Indians looking to move to or already reside in the United States, the U.S. 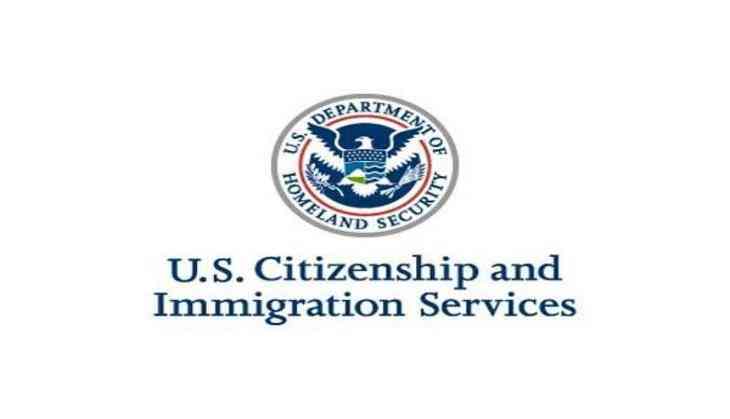 Citizenship and Immigration Services (USCIS) notified that it will resume premium processing for certain cap-exempt H-1B petitions, effective immediately. The H-1B visa has an annual cap of 65,000 visas each fiscal year. Additionally, there is an annual "master's cap" of 20,000 petitions filed for beneficiaries with a U.S. master's degree or higher. The petitioners who are eligible for premium processing can file Form I-907, Request for Premium Processing Service for Form I-129, Petition for a Nonimmigrant Worker. Form I-907 can be filed together with an H-1B petition or separately for a pending H-1B petition, the USCIS notified. Premium processing will resume for petitions that may be exempt from the cap if the H-1B petitioner is an institution of higher education, a nonprofit related to or affiliated with an institution of higher education; or a nonprofit research or governmental research organisation. Premium processing will also resume for petitions that may also be exempt if the beneficiary will be employed at a qualifying cap-exempt institution, organisation or entity. Earlier, USCIS had announced that premium processing resumed on June 26 for H-1B petitions filed on behalf of physicians under the Conrad 30 waiver program as well as interested government agency waivers. USCIS plans to resume premium processing of other H-1B petitions as workloads permit. The notification further highlighted that the USCIS will make additional announcements with specific details related to when they will begin accepting premium processing for those petitions. Until then, premium processing remains temporarily suspended for all other H-1B petitions, it said. Further, the USCIS will reject any Form I-907 filed for those petitions, and if the petitioner submitted one check combining the Form I-907 and Form I-129 fees, the USCIS will reject both forms. The H1-B visa conundrum has been a long standing matter of conflicting opinions between India and the US. It is said that the new regulation will largely affect those employed in the States, majorly from the IT sector. A legislation was passed earlier in the year mandating that the minimum salary of H-1B visa holders be increased to USD130,000 from USD 60,000, in the US House of Representatives by Congressman Zoe Lofgren. Last month, ahead of Prime Minister Narendra Modi's official visit, Director of India initiative at Hudson Institute Dr. Aparna Pande had said the H-1B visa is a part of United States President Donald Trump's desire to overhaul the entire immigration system of the country. "H-1B is a part of Trump's desire to overhaul the entire immigration system and it will not only affect India but countries from where people come to U.S," Pande told ANI. Pande further said that H-1B is important and every Indian Prime Minister going back to Manmohan Singh and before him discussed H-1B issue. She added that H1-B is more important also because of the certain rise of nationalism in U.S. and racist attacks.